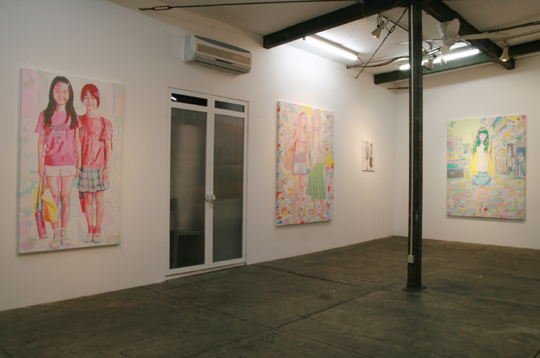 "The Tokyo Girls / Summer"
It has been 15 years since she left her homeland Japan, and this is her first solo exhibition in Tokyo. By deliberately keeping distance herself from Japan, Karasumaru sees the reality of Japanese culture, society and daily life clearly, and creates art pieces by confronting and feeling these facts. 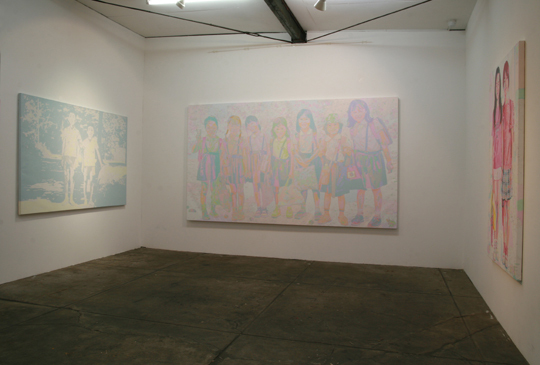 Such pieces include: a series of paintings “The Family”, “Atomic” and the main piece of the show “Teenager”, in which she explores Japanese contemporary icons. The show also consists of other new tableaux. 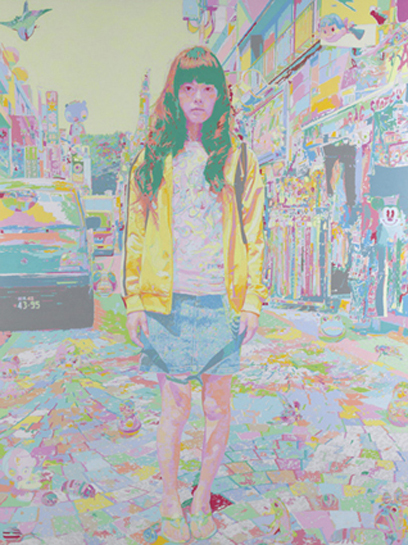 Her production process begins with interviewing and taking pictures of young people on the street in Japan. 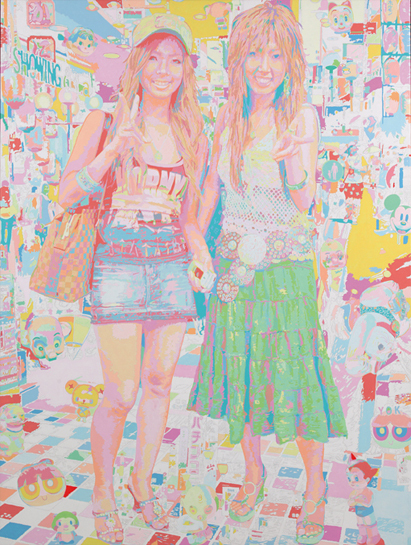 Then, she projects the photographic images onto a canvas to draw outlines of each color. This time consuming activities create detailed “map-like” pattern which will be filled by colors of her intuitive choice. Girls with v sign in Shibuya, primary school boys wander around Tokyo with vacant look, feckless high school girls in Harajuku, and children with innocent smileﾉ Despite of the fact that they live in the world of accelerated globalization, their life is seemingly quiet and peaceful. The audiences will experience Karasumaru’s emotion and messages that lie beneath the techniques and various colors.